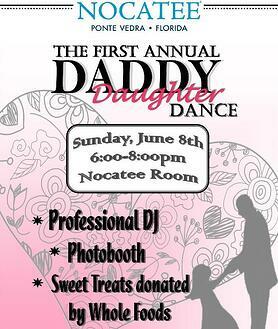 Many of Nocatee’s youngest residents are getting excited for the first-ever Nocatee Daddy Daughter Dance. Young ladies and their fathers will enjoy a night of dancing, sweet treats and fun from 6:00 p.m. – 8:00 p.m., on Sunday (June 8th) at Nocatee. The special event will be held in the beautiful Nocatee Room in Crosswater Hall, a premiere Ponte Vedra wedding venue that features vaulted, wood-beam ceilings and a plantation-style balcony. Dads and daughters can look forward to tunes from a professional DJ, delicious treats from Whole Foods, and finally, capturing memories via a complimentary on-site photo booth. “This resident-inspired event falls perfectly in June, as Father’s Day is just around the corner,” said Shelby Skelton, Nocatee’s Community Events Specialist. “It will be a fun event for both girls and their dads.” Daddy/Daughter Dances are a great tradition to partake in, and the Nocatee Events and Activities Team looks forward to continuing this Father’s Day related event. 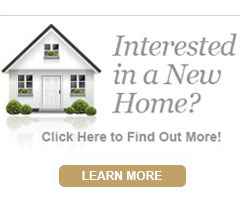 Residents, please email fun@nocatee.com to RSVP. To learn more about all of the events and activities that Nocatee offers to its residents, stop by the Nocatee Welcome Center or visit www.nocatee.com/events.